The Nordstrom Anniversary Sale starts tomorrow, and while it might not be on your radar (yet), I want to share some of the reasons it's truly the BEST SALE EVER...and tips on how to best take advantage. This sale not only provides the opportunity to get a jump on fall fashion for a fraction of the price, but with the free shipping (and easy returns) Nordstrom offers, it's kind of a no-brainer. Nordstrom is my favorite store hands down...always on trend, high quality, great customer service, plus fab sales like this one held annually! 1. Tomorrow when the sale starts, take some time to go through a make a wish list. If you are on a budget, just set your filter "under $50" or something similar. Nordstrom has all sorts of price points and I usually get tops there for under $30 during this sale! Hand that list over to your hubby or use it as a guide to keep an eye on the items you really want. 2. When unsure, order more than you need. For example, last year I couldn't decide between 3 different pairs of booties, so I ordered all 3 of them. Once I tried each on, it was clear which was the winner and I easily sent back the others free of charge...lickity split! 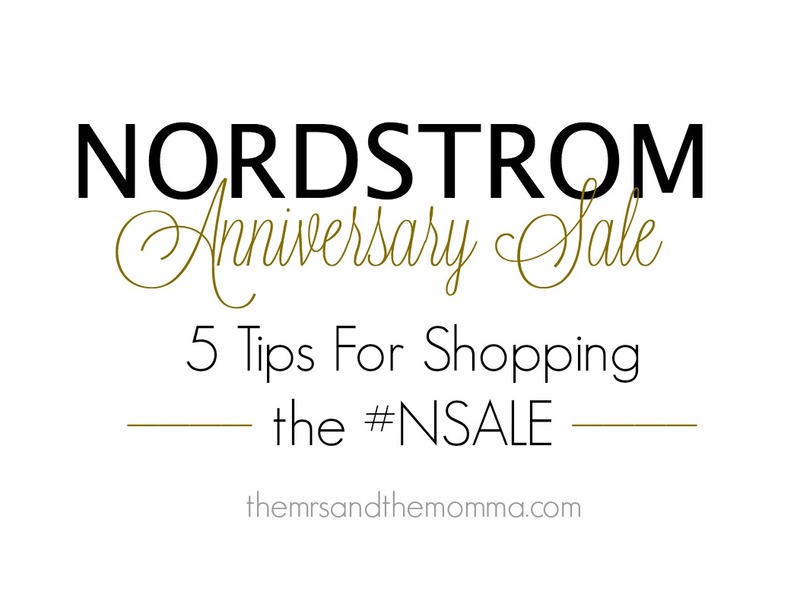 Not only does this save you buyer's remorse and the hassle of driving to your nearest Nordstrom, but you get the flexibility you would as if you're in the store yourself! 3. Use the filter to search your favorite (and/or most budget-friendly) brands. 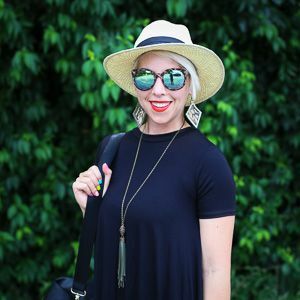 Nordstrom has tons of brands (Lush, BP, Caslon) that are both affordable and on point style-wise! Strategically shopping in this was will save you time and allow a focus on your particular niche of brands/price-point/etc. 5. Check out the fall trends or looks you'd like to add to your closet this year. For me, I have my eye out for some new booties, a really great flat, some cute tops, and a cute dress or two. When you plan for what you "need", you can shop more intentionally and smart. >>> Stay connected via Facebook and Instagram as I will be posting throughout the next couple of weeks all the deals, steals, and finds from the Nordstrom Anniversary Sale! Can you tell I'm excited!!!!??? ?